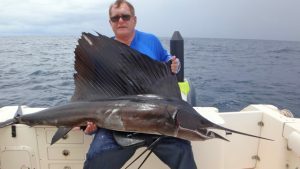 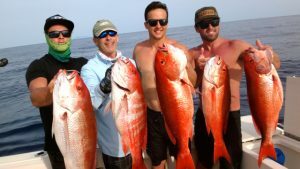 S. Roeder from Georgia, returning angler Dr. D. Ball & L. Kelly from Texas, R. Little group from Texas, Dr. M. Bernavides from Texas, J. McMillin group from Panama, S. Strahlo group from Florida, E. Wagg from Colorado, L. Zimmerie, T. Feeley from Florida, C. Fargler from Panama, & to round out the anglers for the month returning angler D. McNatt and his group from California. 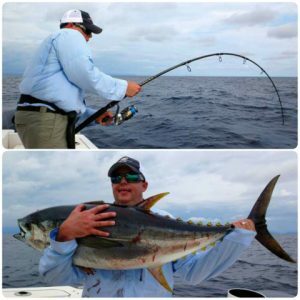 These anglers and there group crushed all sorts of Yellowfin Tuna during their April Tuna Slam Panama. 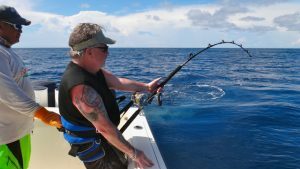 April brings a mix of sun and cloud action to off set the heat from earlier months. This brings in the winds out of the south southeast during the morning and westerlies winds during our return back to the lodge. Small chop from 3-4 feet throughout the month with color clarity on the blue side. 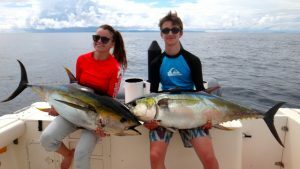 Current was not much of a factor for us during the month due to the Yellowfin chasing the sardines into the Gulf of Chiriqui. 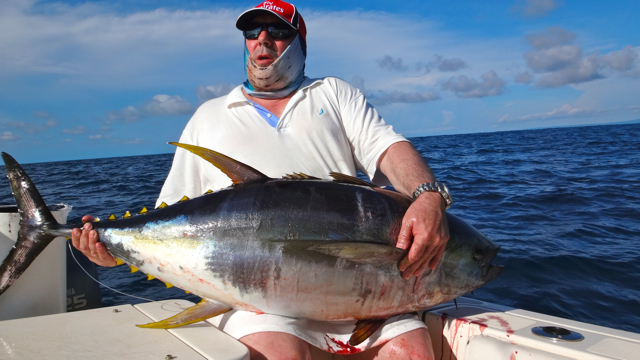 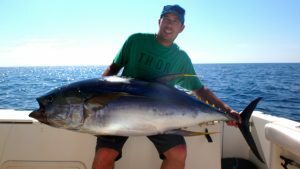 April is our go to month for Yellowfin tuna action. Which brings anglers from all over the world to hunt these species on either jigs or throwing poppers at them. 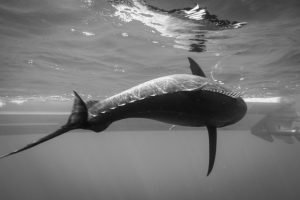 From time to time we will deploy live blue runners or live Bonito at the bigger cow or super cow Yellowfin not to leave out sardines as another known worldwide method. 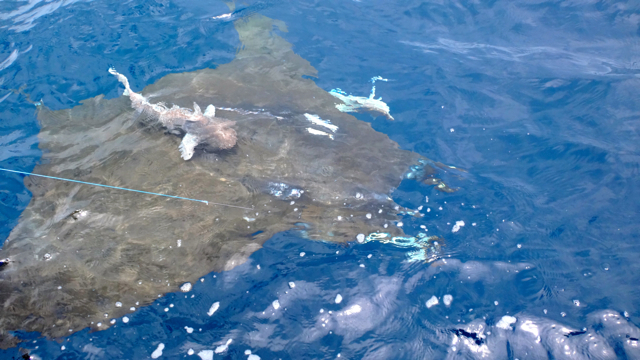 These anglers were eager to jump in on the action right away once out at the Triangle or over at the Hannibal Bank. 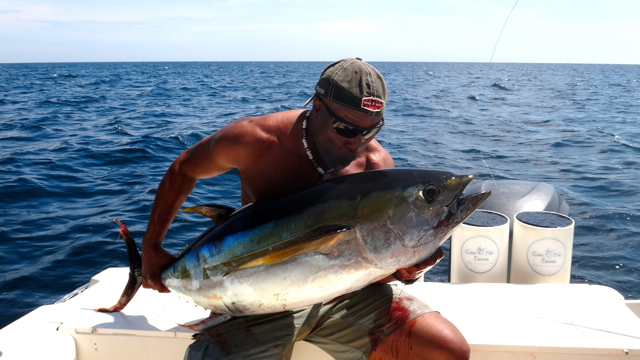 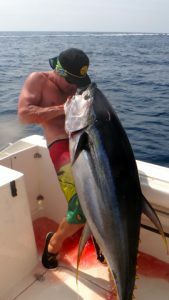 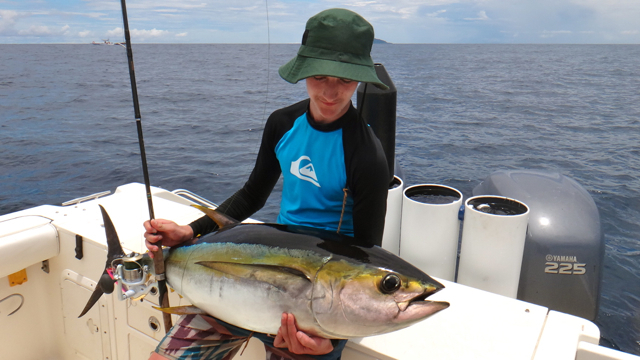 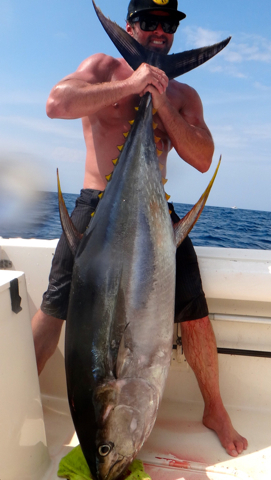 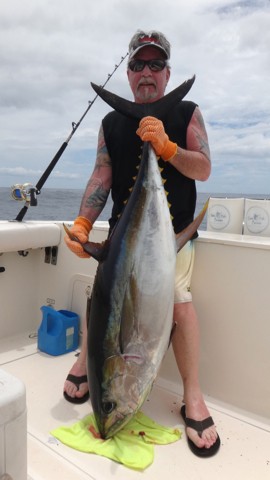 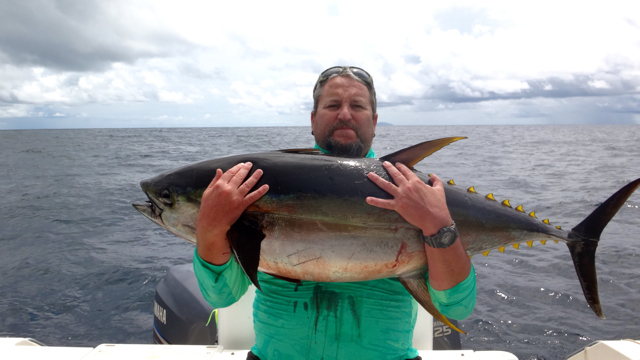 Nick stoked and hanging loose on Yellowfin Tuna. 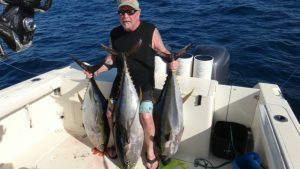 Everyday their were nice tuna boils with birds and dolphin in on the action keep anglers heart pounding during each and every cast or hook up. 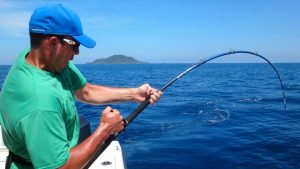 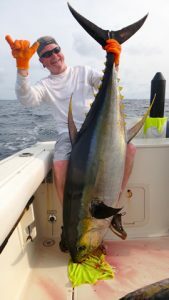 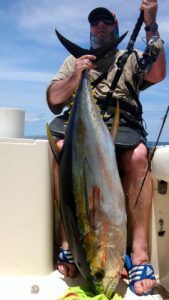 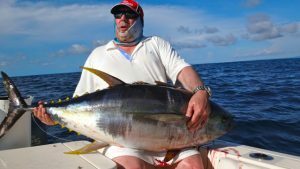 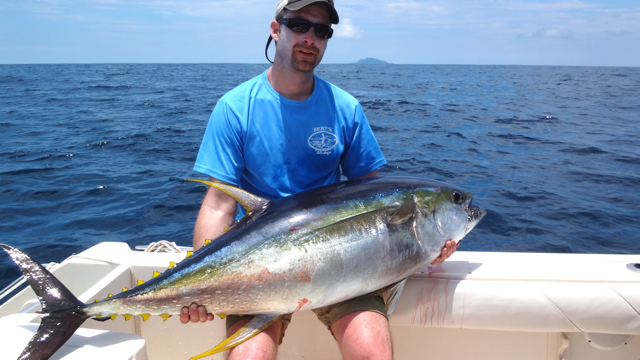 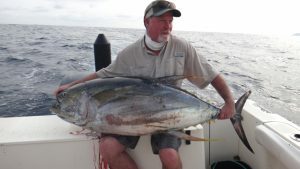 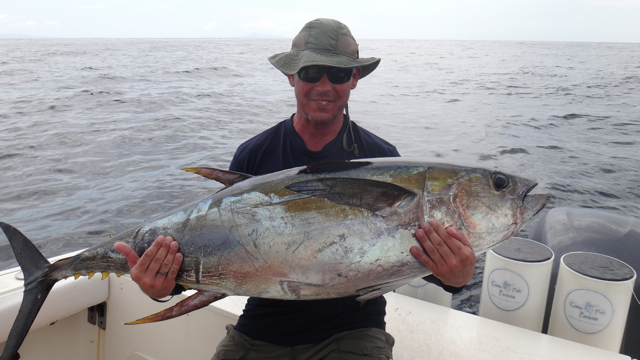 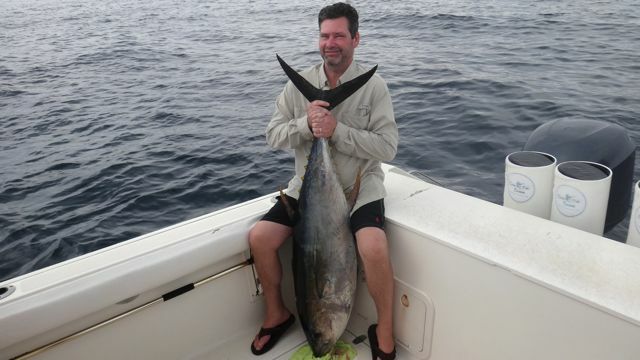 Some of our notable catches are always the newbies here in Panama hooking up big Yellowfin Tuna on spinning gear and understanding the power of these species. 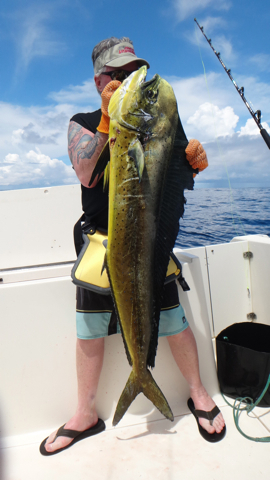 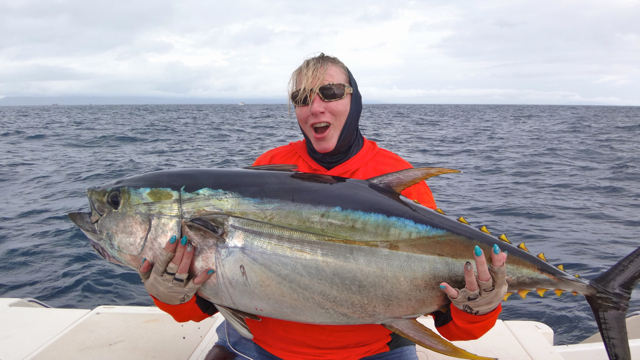 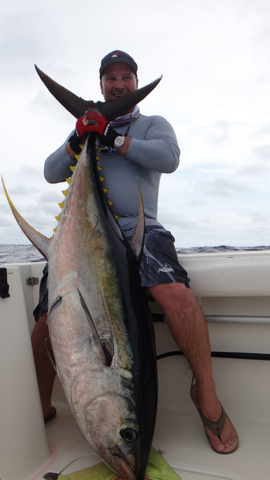 We can hear how stoked they are after an epic offshore trip crushing Tuna on popper, jigs or live bait. 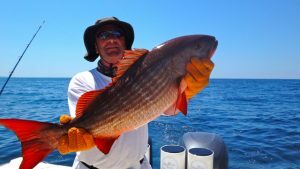 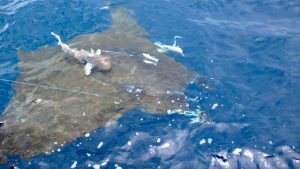 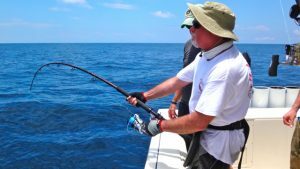 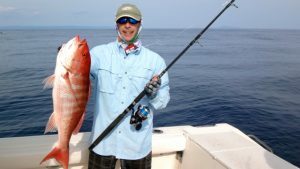 Other notable catches were the usual species Mullet Snapper, Silk Snapper, Cubera Snapper, Rock Snapper, Dorado, Pacific Sailfish. 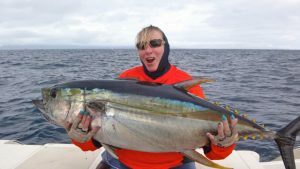 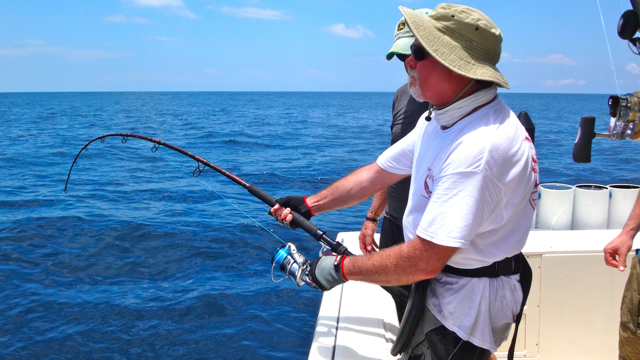 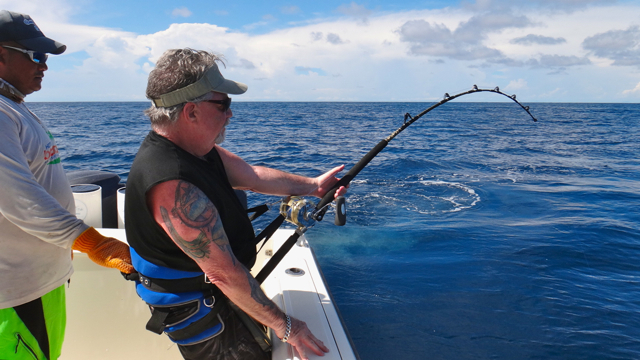 But Yellowfin Tuna was on the menu out at sea for anglers to bend all sort of rods. 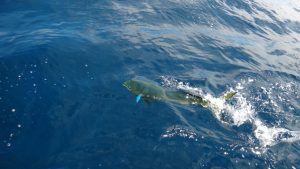 Enjoy some of the photos we have posted below and not to forge to follow us on all the action over at our Facebook or Instagram page. As always Come Fish Panama thanks all the anglers that came to visit us during the month of April during the Yellowfin Slam. 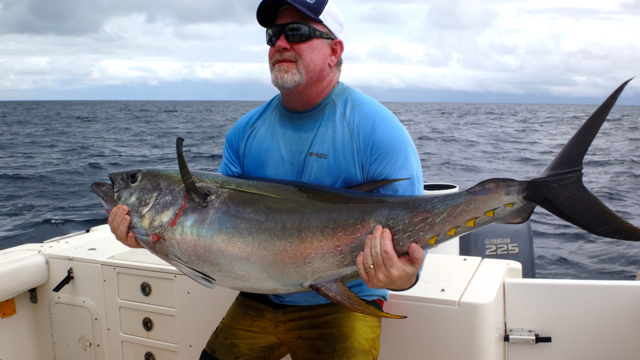 We look forward to hosting you again on a future sport fishing trip here in Panama. 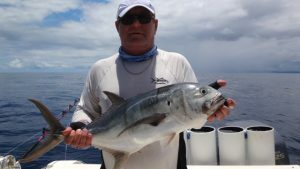 Please remember to contact us early should as we always offer our new angler groups wonderful discounts. As always our return anglers receive a “Retuning Angler Discount”.